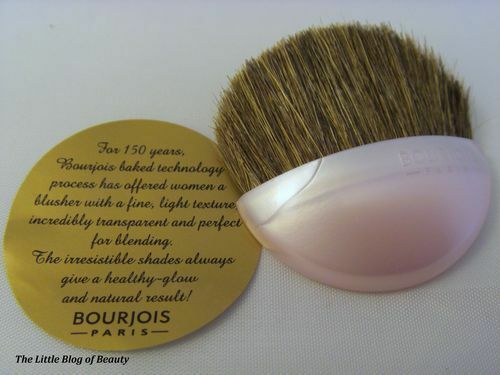 If you don’t know already, Bourjois are this year celebrating their 150th birthday this year, Happy Birthday Bourjois! 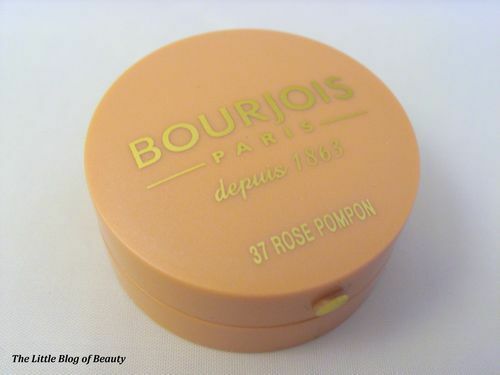 A few weeks back on Twitter Bourjois offered a free little round blush pot to the first 150 people who emailed their details over. I was obviously one of the lucky ones as around a week later I opened a small package to find a little round blush pot. I think I may have actually fallen in love with this little pot of loveliness! I remember looking at these years ago when I was probably still a teenager (which was a fair few years ago now!) but for some reason I have never tried them. The colour of each pot represents the colour of the blusher inside. My shade is Rose Pompon (rose in French being pink in English) which is a light pink slightly peach colour. One of the first things you notice when you open this little pot is the absolutely amazing smell. I can’t quite place this but the Bourjois website says this is rose scented, I would personally describe this as a powdery sherbet candy kind of smell. Whatever it is I love it! 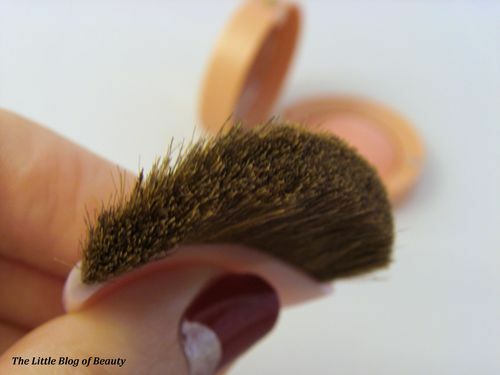 Once inside the pot you find a little brush and a shiny piece of paper that separates the brush from the powder but also gives a little information about the blusher. There is also a little mirror in the lid. 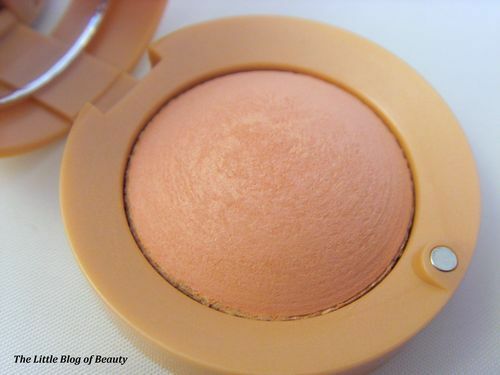 Although the pot is small the actual blusher is in the shape of a dome so you’re not only getting a tiny amount of product. My particular shade contains shimmer but I don’t know whether all shades contain this. Some people may not like the little brush included but I actually don’t think this is too bad. Even if you didn’t want to use this to actually apply the blush this would be fine to use if you wanted to touch up through the day. 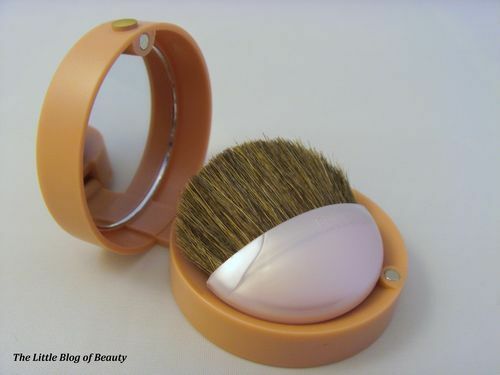 The bristles are surprisingly soft and this is slightly curved to follow the curve of your cheek. I usually use rose (here I mean English rose rather than French rose) shades of blush all year round but thought this year I would try changing to a lighter shade for the spring and summer so I was really pleased I received this shade. However, unfortunately this just does not show up very well on me which is such a shame. This doesn’t stop me loving this still and I think I may have to go and purchase one in a darker shade. 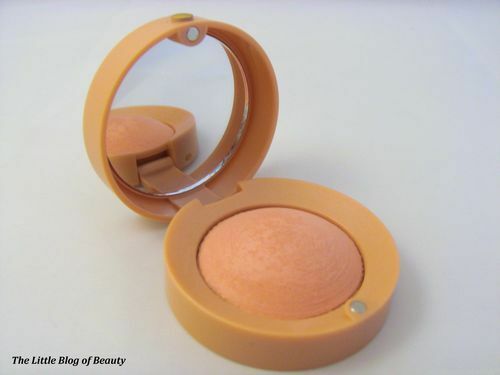 Bourjois Little Round Pot Blushers cost £7.49, come in 12 shades and are available from Boots, Superdrug and any other retailer that stocks Bourjois.